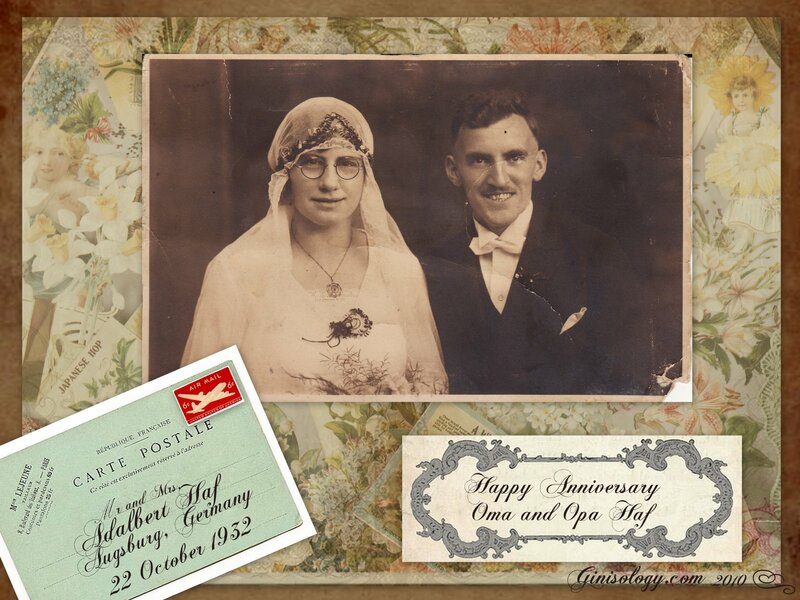 Oma and Opa would have been married for 79 years, today. I love the beautiful scrapbook pages you put together. Thank you, Michelle! I love digital scrapbooking or making collages . . . I have so much to learn and do . . . so little time. Thank you for stopping by. You constantly amaze me. Each collage is better than the previous one. This one is beautiful! Kathy, thank you so much, your are too kind! It's fun to make them . . . each time I make one I learn new things.